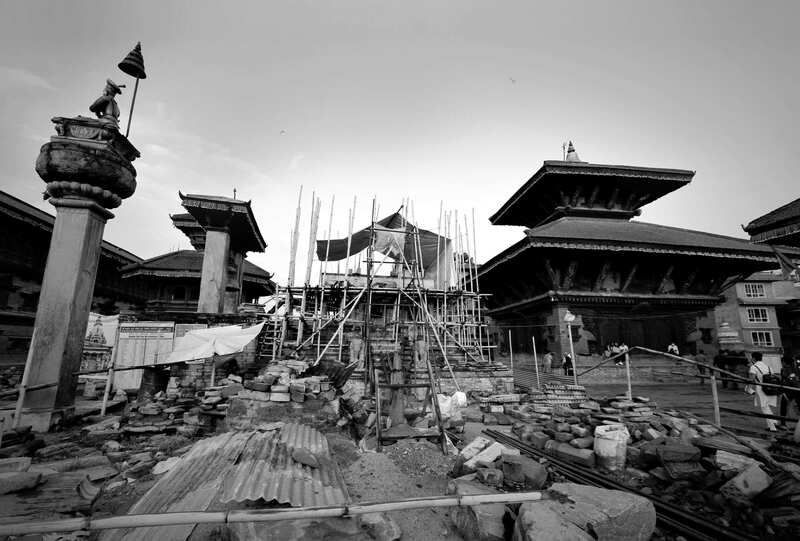 The ancient trade route between India and Tibet cut diagonally through Kathmandu’s city core. At its northern edge was the historical gateway to the city through which Newar merchants passed on their way to and from Lhasa. 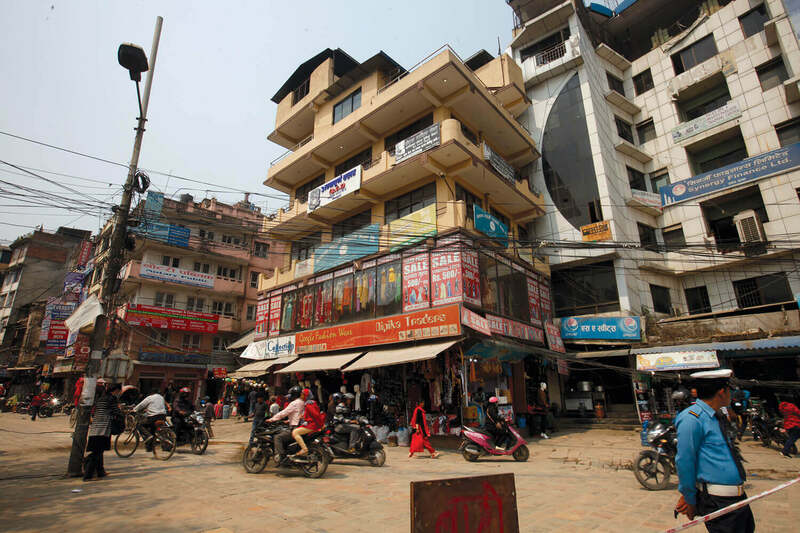 Today a yellow concrete-and-glass commercial block stands on the spot just northwest of Rani Pokhari. The structure was built right on top of Jhanga Hiti, the ancient sunken spout that stood there till 35 years ago. “This was the spot where families bid tearful farewell to the merchants when they left on perilous journeys across the Himalaya to Lhasa. There is no trace of this historic landmark today,” explains tourism expert Gyanendra Ratna Tuladhar. The Tibet trade thrived for centuries until the Chinese annexation in the 1950s. 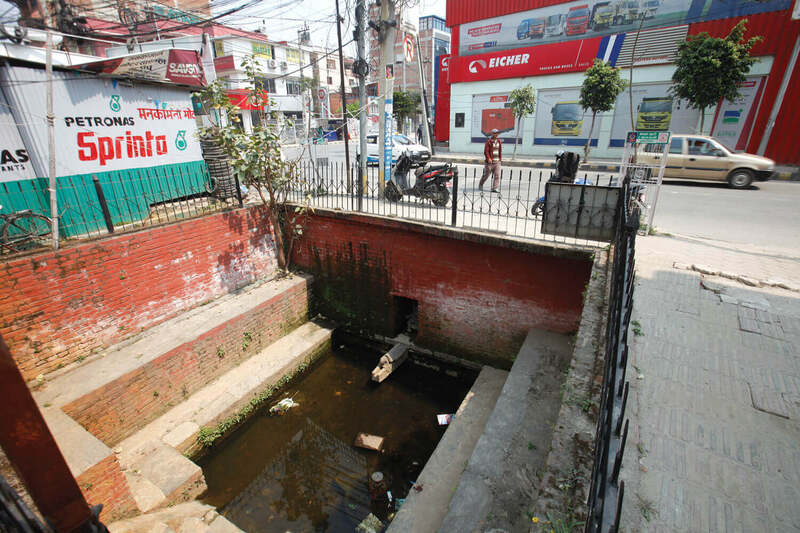 Considered one of the greatest technological achievements of the Kathmandu Valley civilisation, hiti are traditional stone water spouts built inside conduit basins below the ground level, where drinking water flowed non-stop. The water was piped through underground channels made of Gathu Cha, a type of water-tight clay. 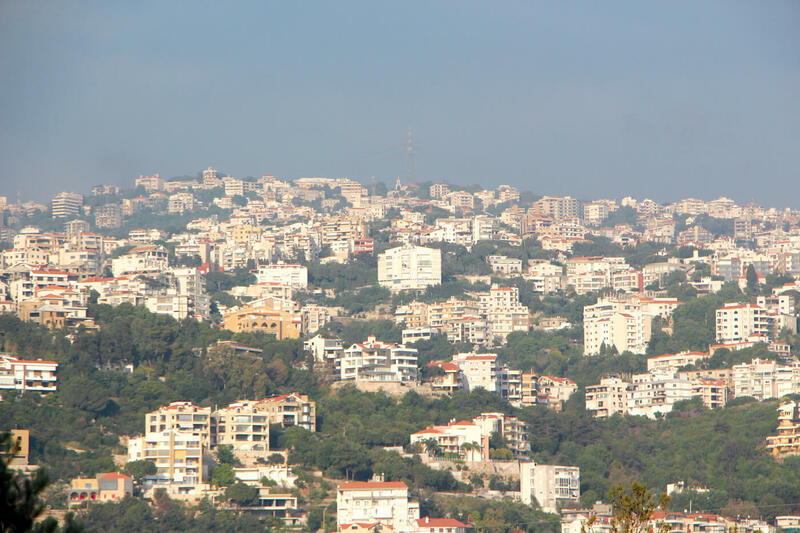 The sources used to be in a complex network of aquifers, ponds, rivers or natural springs on the outskirts of the valley. This intricate network of water channels helped the valley’s kingdoms to thrive and support urban populations. Today, many of these hiti have dried out due to underground waterways being blocked by rampant construction and other infrastructure. 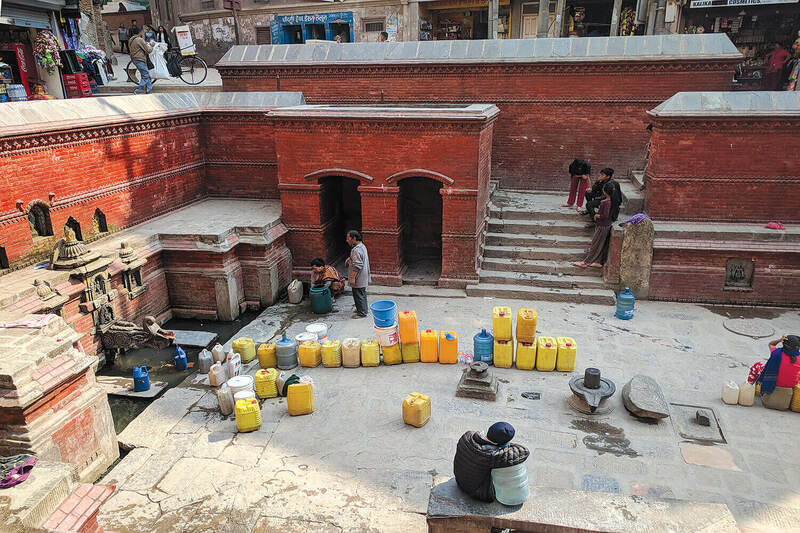 When Jhanga Hiti went dry, locals forgot about its historical importance, and when piped water became available it was covered over and converted into prime real estate. A local football club then laid claim to the land, and eventually obtained permission to build its club house on top of Jhanga Hiti in 1981, permanently burying its glorious history. The lower floors of the building are now rented out to shops, while the football club has offices and a meeting hall on the upper floors. Some 80m to the south is where Bhotahiti was discovered 4m below the surface in 1984 during the construction of an underpass. Water was still flowing from the spout when it was unearthed. The spout dates back to 621 CE and was originally called Vanta Hiti (Eastern Spout). 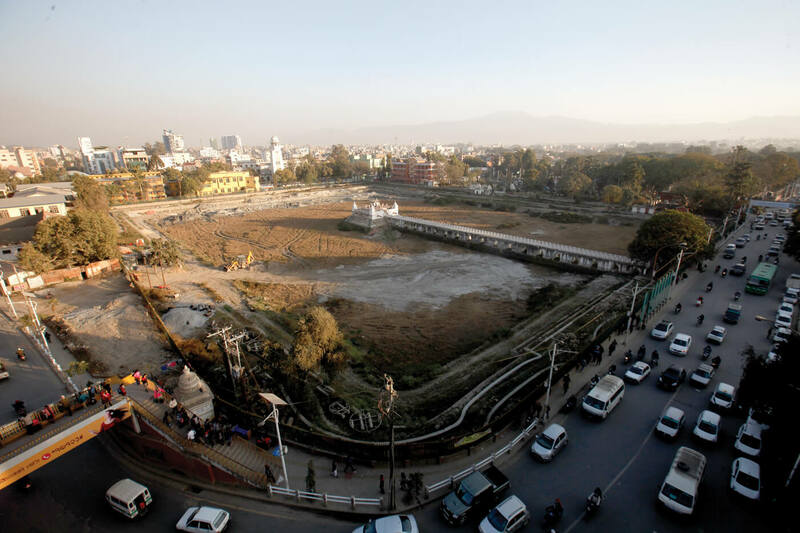 Bhotahiti was among seven water spouts in the area, and was first buried during the construction of Tundikhel in the 1880s. The underpass construction went ahead, and Bhotahiti was filled over a second time. The lower portions of the basin of Tindhara Hiti at the southern end of Darbar Marg is still moist with ground water today. Local apathy and official neglect have turned the historic waterspout into a wasteland. 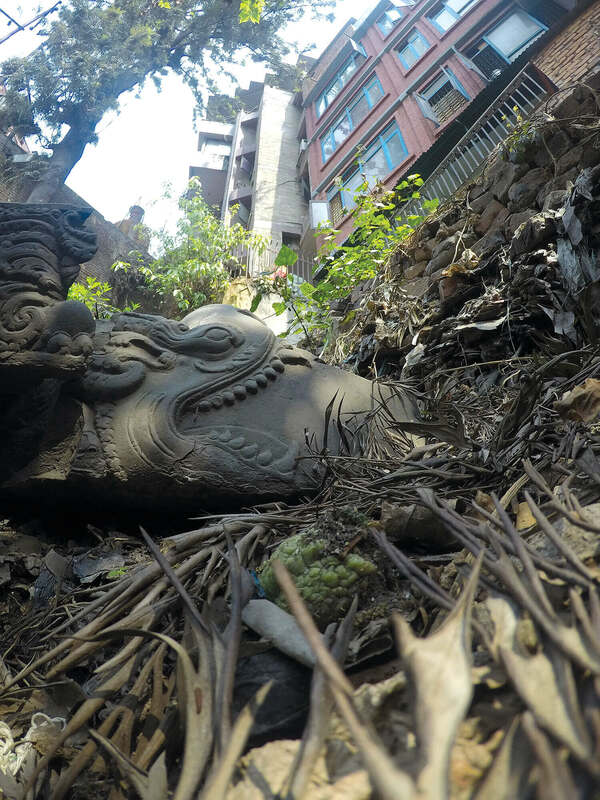 Engineering student Rohit Nepali studied Kathmandu’s 7th century Gairidhara, 2 km east of Darbar Marg, and says it dried up only a few years ago when large buildings went up in the vicinity. “We must study and fully understand the physical structures that were built with very little technical resources compared to today, during the Licchavi and the Malla periods, before they all disappear,” Nepali says. Despite many hiti in Kathmandu going dry or filled over, there are still a handful of these historic spouts that provide water to this day to communities in Kathmandu, Patan and Bhaktapur. Maru Hiti is one of them, and it lies at the opposite southern end of the ancient trade route that once bisected Old Kathmandu. Crystal clear drinkable water still flows out of its ornate stone spout day and night. Alok Siddhi Tuladhar is a culture and heritage documentarian.